Civil protection, prevention, risks and new scenarios. 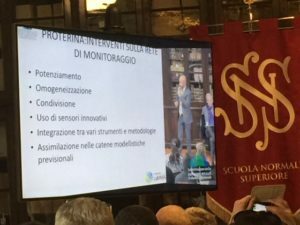 In Pisa on 15th February ANCI Toscana held an international conference on the subject, within the framework the European “Proterina3” program. The current and future role of civil protection, at a time when climate change and the resulting risks require new ways of responding to disasters from local, regional and national authorities. 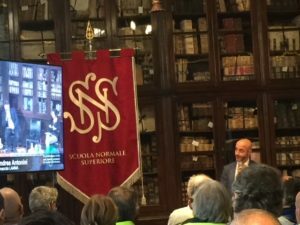 This was the topic discussed in Pisa, at an important international conference on a very current issue: “Civil protection in new flood risk scenarios“. Federico Binaglia (Pro.Ge.Com.) was present at the event. Over the last few years, the company, a partner in the Nefocast project, has gained significant experience in the development of weather alert communication systems and more generally, of meteorological data through the use of web-gis applications. 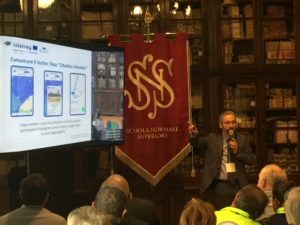 This is particularly the case with the implementation together with ANCI of the app “Cittadino Informato” (“Informed Citizen”, formerly “Prociv Pas” – Prevention, Warnings Safety ), designed to provide local authorities with a tool to inform citizens about all relevant civil protection issues within the area. 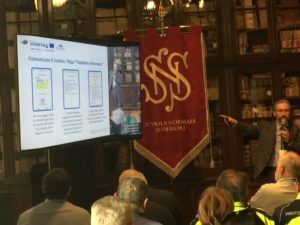 The aim of the project that gave rise to the app was to provide local people with an innovative tool with which to communicate the current state of alerts as well as the main contents of the civil protection plans of the Tuscan Municipalities. On the basis of experience gained with the existing system, Pro.Ge.Com. will integrate the project with the app “Informed Citizen” in order to provide the results of the experimentation so that, when fully operational, it will become a useful tool for the general public. 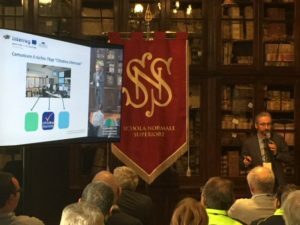 The event held in Pisa was organized at the Scuola Normale Superiore (Piazza dei Cavalieri, 9.30-16.30) as part of the Protero 3 Evolution Project, funded by the Interreg Italy-France Maritime Program, which has the general objective to strengthen the capacity of the authorities to react to risks arising from floods. The idea is to increase the awareness of institutions and communities by illustrating the relevance of the issues addressed by the Nefocast project and the ability to act together with other institutional initiatives of public impact. 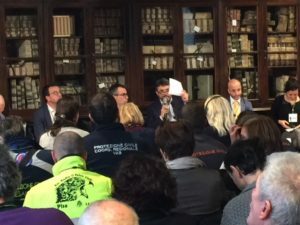 The meeting was opened by Paolo Ghezzi, deputy mayor of Pisa, and Paolo Masetti Anci Toscana delegate for the Civil Protection and mayor of Montelupo Fiorentino, Then Bernardo Gozzini from the LAMMA Consortium and Nicola Casagli of the University of Florence took part in a discussion on the topic coordinated by the journalist Luca Calzolari. There followed the working sessions based on the experiences of institutions and technicians: topics covered all the main issues of civil protection, from monitoring to prevention, from forecasting to communication. In the afternoon there was the round table “Current and future management of flood risks: cross-border experiences compared“, which was attended by among others the Councillor for the Environment of Tuscany Federica Fratoni, the councillor for the Civil Protection of Liguria Giacomo Raul Giampedrone , the Sardinian Environment Councilor Donatella Spano, managers from the Cima Foundation, of the National Department of Civil Protection, of the Lamma Consortium, of the Basin Authority; Fabrizio Curcio, Councillor of the Presidency of the Council of Ministers. Below, the photo gallery of the event attended by almost 200 people.